The 2011 fantasy novel by Erin Morgenstern is one of those books that will pull you in and keep you locked in a land of magical make-believe…at least until you manage to put down the book. The circus arrives without warning. No announcements precede it, no paper notices on downtown posts and billboards, no mentions or advertisements in local newspapers. It is simply there, when yesterday it was not. 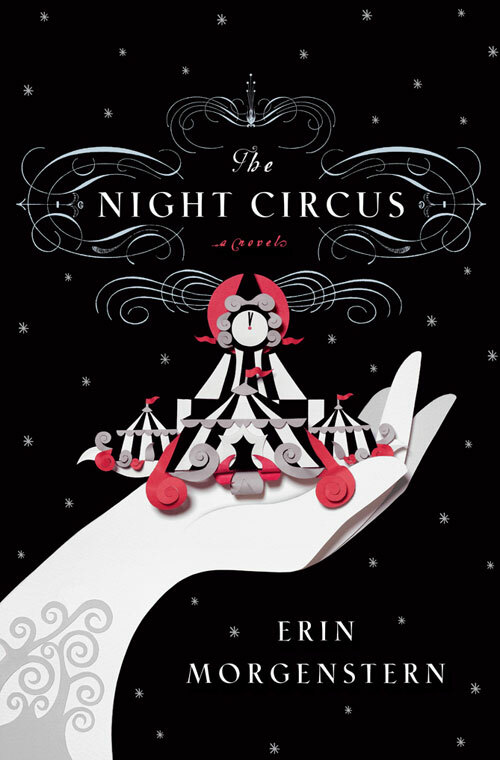 The Night Circus was released in hardback in mid-September of 2011 by Doubleday Books in the U.S. and Canada, and Harvill Secker in the UK. An audiobook version of the book, read by Jim Dale, is also available. The story centers on Celia and Marco, two young magicians who are put into a competition by their mentors. The book isn’t just about them, however – it’s about the culture of the circus, the relationships formed among the participants, and about the magic in all of us. Running alongside – or perhaps, intertwined with – the competition story, there is also a magical love story that unfolds as the book progresses. The characters are real and likeable, the description of the circus is breathtaking, and the plot pulls you in from the very first page. This is a fabulous story, and one I recommend for everyone to read. 5= Excellente! I want everyone to read this! I rate The Night Circus a 5.